Minister of Labor Force Mohammed Safaan held a meeting with members of the municipal union of workers in Monofya governorate on Sunday to discuss worker problems and ways to improve their work environment and labor conditions. 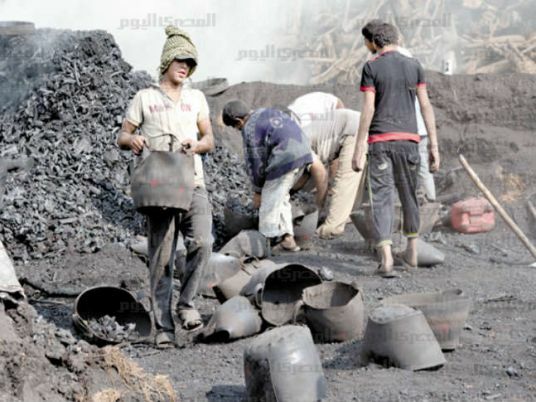 Safaan said that the government has given priority to meeting non-regular workers demands as part of Egypt’s 2030 vision. He asserted that Egyptian workers are the foundation of the nation’s development due to their essential skills and ability to work under all circumstances with high efficiency. During the meeting, Safaan praised the labor elections held in 2018 according to the law of labor union organizations no 213, asserting that these elections were democratic. He said that the government established 8,278 projects totaled at LE 1.56 trillion from 2014 till 2018. The Ministry of Planning announced in January that the unemployment rate declined to 10 percent within January-March 2018, compared to 11.9 percent within the same period in 2017. The relative structure of employment included 31.2 percent in the retail sector and in the constructions sector, 21.4 percent for the agricultural sector, 12.7 percent for the industry sector and 8.6 percent for the education sector. The ministry clarified that the value-added sectors including the agriculture and industry sector created several job opportunities in 2018.